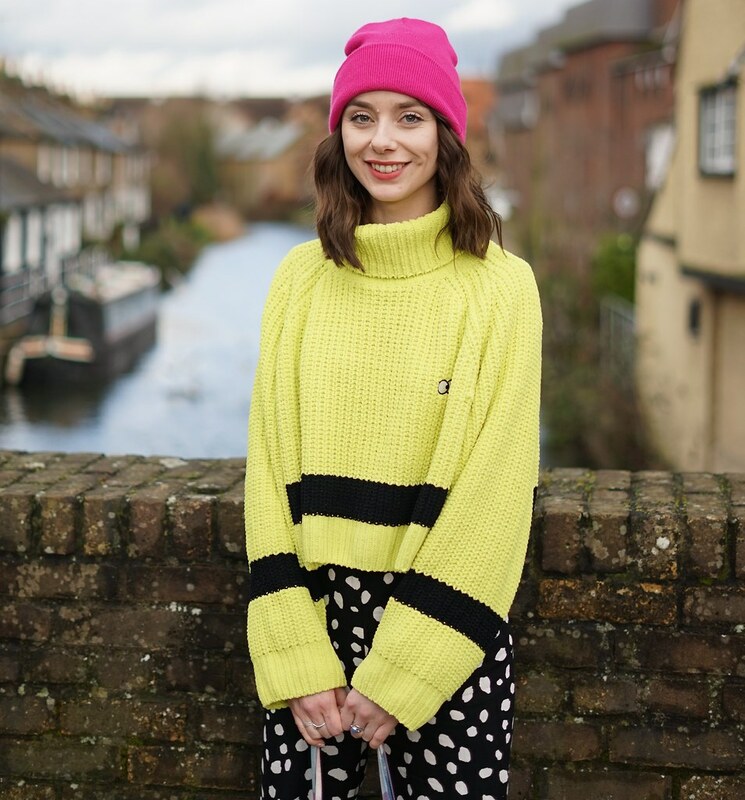 I was reading the 'Daily Mail' online one day when I clicked on a feature about a girl called Poppy Dinsey who had started her own fashion sharing website called 'What I Wore Today'. After lurking for a bit I signed up and started posting my outfits. I noticed that lots of girls on there had blogs....so I dived straight in and started my own! I wanted to try and incorporate my own name somewhere into my blog title and decided on 'HoneyBelle' only to then discover it's also the name of a cellulite treatment!! It's actually kinda apt coz I'm covered in the stuff!! If you could raid anyone's wardrobe whose would it be? I think I like to rummage in Anna Dello Russo's wardrobe. It'd be the hugest treasure trove of incredible crazy pieces I'd imagine :) You could probably spend days in there! Seeing my posts inspiring other bloggers. I honestly feel like crying little happy tears when I either receive a link saying that a reader has bought something because of my post, or lovely comments saying that I'm one of their favourite bloggers. Honestly there's no better pick me up. I'd say it’s a bit of everything but quite clean and classic. It completely depends on the day and my surroundings what influence my style. Some days I fancy being really girly and others I love being dead grungy. The Olsen twins would be amazing as they are always dressed perfectly, plus everything would be unique as I'm guessing most would be from their own line. I am loving the punk'y PVC vibes! Also the amount of pink that's about is seriously exciting my inner 9 year old, oh and I'm still loving co-ords.... So maybe a pink PVC co-ord suit combo would be the dream?! No brainer - forever and always my home girls the Olsen twins. Since I was 10 they have and always will be my ultimate babe wannabes! Urmmmm - everyday is different, I take elements from every decade and era... At the minute I would say Cher from clueless goes slightly boho meets 90's club kid with a sprinkle of grunge! I started blogging because I wanted to interact and meet fellow fashion & beauty enthusiasts and to share my passion for makeup & personal style. I also think it's something good to add to your CV and to show employers/people in the industry that you have experience in writing etc. I wanted my blog to be a personal style blog but primarily to share my passion for beauty and makeup, so I wanted my title to reflect this. 'Beauty and the B' actually just popped into my head one day and is sort of a funny play on the words 'beauty and the Beast'. My favourite thing about blogging is all the people I have had the opportunity to interact with and meet. Talking to people through my blog & social media about all things fashion and beauty is really cool and everyone I have met is so lovely. It's also so nice that bloggers all help each other out and create a little community! My style is a total contradiction and changes and evolves according to how I feel and what I have seen to inspire me. Some days I feel like being sophisticated, other days I feel like throwing on something girly or slightly man-repelling. My wardrobe is full of grey & black however, and I'm obsessed with anything leather, studded, leopard print or with feathers. Leandra Medine (the Man Repeller) has potentially the most enviable wardrobe I have ever seen, as do the Olsens. Thanks for sharing all these great blogs! 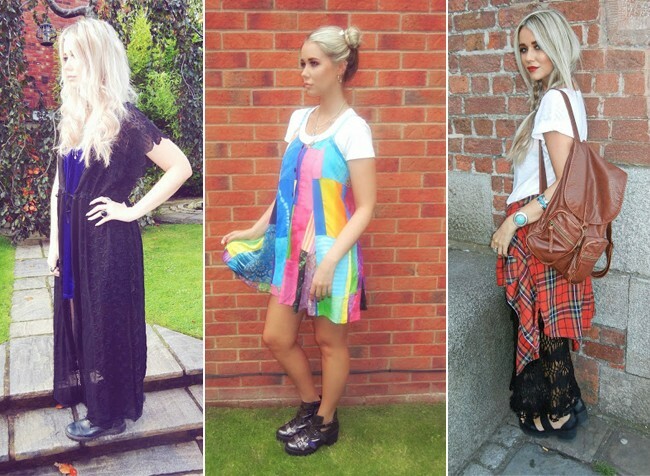 Really enjoyed reading this post :) I love finding new fashion blogs to read and people to be inspired by. It's interesting to hear why people started blogging and amusing that everyone seems to envy the Olsens wardrobe. Gonna go check these blogs out now :) Cool post btw.